Anders Walker explores how three moderate Southern governors formulated masked resistance in the wake of Brown v. Board of Education. J. P. Coleman in Mississippi, Luther Hodges in North Carolina, and LeRoy Collins in Florida each developed workable, lasting strategies to neutralize black political activists and control white extremists. Believing it possible to reinterpret Brown on their own terms, these governors drew on creative legal solutions that allowed them to perpetuate segregation without overtly defying the federal government. Hodges, Collins, and Coleman instituted seemingly neutral criteria--academic, economic, and moral--in place of racial classifications, thereby laying the foundations for a new way of rationalizing racial inequality. Rather than focus on legal repression, they endorsed cultural pluralism and uplift, claiming that black culture was unique and should be preserved, free from white interference. Meanwhile, they invalidated common law marriages and cut state benefits to unwed mothers, then judged black families for having low moral standards. They expanded the jurisdiction of state police and established agencies like the Mississippi Sovereignty Commission to control unrest. They hired black informants, bribed black leaders, and dramatically expanded the reach of the state into private life. Through these tactics, they hoped to avoid violent Civil Rights protests that would draw negative attention to their states and confirm national opinions of the South as backward. By crafting positive images of their states as tranquil and free of racial unrest, they hoped to attract investment and expand southern economic development. In reward for their work, John F. Kennedy and Lyndon Johnson appointed them to positions in the federal government, defying notions that Republicans were the only party to absorb southern segregationists and stall civil rights. 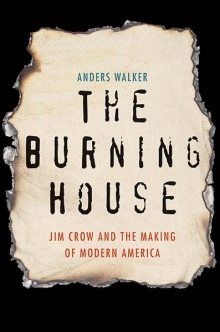 An eye-opening approach to law and politics in the Civil Rights era, The Ghost of Jim Crowlooks beyond extremism to highlight some of the subversive tactics that prolonged racial inequality.